IMPORTANT: Thank you so much for taking the time to complete this questionnaire. Please select all choices that apply. Starred (*) questions require a response; others are optional but can potentially help a lot of dogs. 1. Complete this survey and leave your email address to receive updates and to get an extreme discount on our upcoming e-book about tear and beard staining. We are NOT selling a tear stain remover or "preventative" and won't share your information with anyone or flood you with emails. All net proceeds benefit dog causes. Unsubscribe at any time. IMPORTANT: To receive your discount for answering the questionnaire and avoid Spam Filter intervention, be sure to add stopstains@gmail.com to your address book. Follow us on Twitter @tearstainstruth. Thanks! 2. 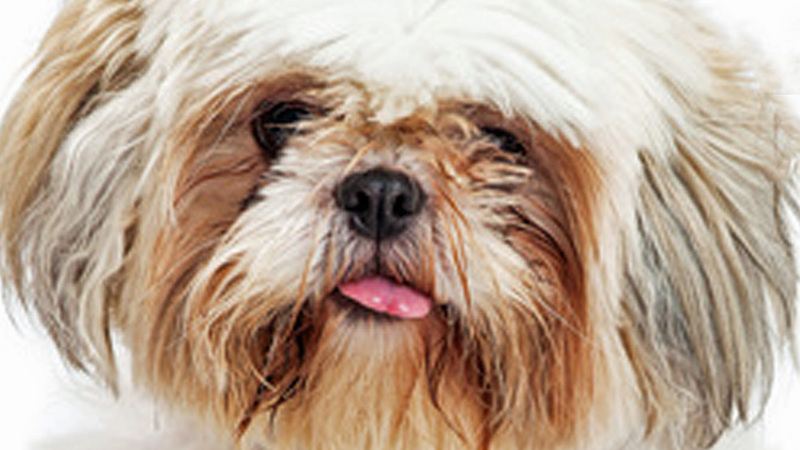 Are tears or saliva currently staining your dog's face, mouth, paws or other body part? *This question is required. 3. Your dog is NOT tearing now. Within the past six months, has your dog been on any antibiotic -- either an individual drug or a tear stain "remedy" containing tylosin/tylan? *This question is required. 3. Typically, the color of my dog's facial staining is (or was): *This question is required. 4. The RED stained area is: *This question is required. 4. The BROWN stained area is: *This question is required. 4. The OTHER COLOR stained area is: *This question is required. 4. The PALE TAN OR BEIGE stained area is: *This question is required. 4. Areas stained RED include: *This question is required. 4. Areas stained BROWN include: *This question is required. 4. Areas stained PALE TAN OR BEIGE include: *This question is required. 4. Areas stained ANOTHER COLOR include: *This question is required. 4. Sometimes my dog tears profusely without staining: *This question is required. 5. My dog came to live with me when he/she was: *This question is required. 6. Is your dog currently teething (cutting teeth from approximately 3 to 7 months of age)? 6. Staining began FOR MY NON-TEETHING DOG (select all that apply): *This question is required. 6. Staining began FOR MY OLDER DOG (select all that apply) : *This question is required. 6. Did any health stresses cause staining to begin, restart or get worse (select all that apply)? *This question is required. Illness or infection - specify Please enter an 'other' value for this selection. Another cause - specify Please enter an 'other' value for this selection. 7. Did an environmental stress cause staining to start or worsen? *This question is required. New home or family member, boarding, etc. New carpet, bedding, paint, etc.